The post generated a significant backlash, with scores of writers demanding that their work be removed from Thought Catalog. Within a week of the post's publication, McInnes was placed on "indefinite leave" from his position as chief creative officer of the ad agency Rooster. This isn't the first time McInnes has found himself at odds with the "P.C. outrage culture." McInnes is a former writer for VDARE.com, branded a white nationalist "hate group" by the Southern Poverty Law Center. In June, McInnes made headlines when he attacked astrophysicist Neil deGrasse Tyson after the astrophysicist spoke out about being racially profiled. "He had a huge afro and a cutoff shirt and New York was a war zone. 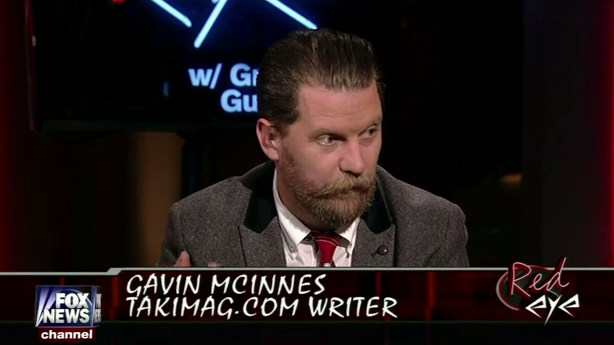 Sorry, you fit the profile," McInnes said on Fox News. If McInnes is looking for a place to spew that kind of bigotry with impunity - and perhaps toss in a transphobic slur or two - he might to consider sending his resume to The Daily Caller.